Methylcobalamin abstracts from published scientific research papers. The following is a collection of methylcobalamin abstracts from published scientific research and papers. Integratedhealth.com has designed Vitamin B-12 with methylcobalamin research in mind. Taniguchi H, Ejiri K, Baba S.
Improvement of autonomic neuropathy after mecobalamin treatment in uremic patients on hemodialysis. The effect of mecobalamin on autonomic neuropathy was evaluated in 20 hemodialyzed uremic patients; their mean age was 53 years and the duration of hemodialysis was 6.5 years; 14 were women. The cardiac beat-to-beat variation (BBV) was used as the measure of autonomic neuropathy. Twelve patients with normal BBV test results were either given 1,500 micrograms of mecobalamin daily for three months (six patients) or were untreated (six patients). The BBV test results did not change significantly over the three months in either the treated or untreated group, nor were there any significant between-group differences. Eight patients with abnormal results on the BBV test were given 1,500 micrograms of mecobalamin daily for six months. The mean BBV values increased significantly from 3.3 beats/min before treatment to 5.8 beats/min at six months (P less than 0.005); five of these patients (including three of the four patients with diabetes) showed normal BBV values by three months. It is concluded that mecobalamin can be used in the treatment of autonomic and peripheral neuropathy in both diabetic and nondiabetic patients with chronic renal failure. Methylcobalamin is one of the two coenzyme forms of vitamin B12. Evidence indicates this form of vitamin B12, in addition to having a theoretical advantage over cyanocobalamin, actually has some metabolic and therapeutic applications not shared by the other forms of vitamin B12. This monograph provides an overview of the pharmacokinetics of methylcobalamin, and will highlight the potential therapeutic relevance for Bell’s palsy, cancer, diabetic neuropathy, eye function, heart rate variability, HIV, homocysteinemia, male impotence, and sleep disorders. Prolonged stress, whether a result of mental/emotional upset or due to physical factors such as malnutrition, surgery, chemical exposure, excessive exercise, sleep deprivation, or a host of other environmental causes, results in predictable systemic effects. The systemic effects of stress include increased levels of stress hormones such as cortisol, a decline in certain aspects of immune system function such as natural killer cell cytotoxicity or secretory-IgA levels, and a disruption of gastrointestinal microflora balance. These systemic changes might be a substantial contributor to many of the stress-associated declines in health. 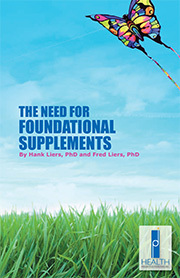 Based on human and animal research, it appears a variety of nutritional and botanical substances – such as adaptogenic herbs, specific vitamins including ascorbic acid, vitamins B1 and B6, the coenzyme forms of vitamin B5 (pantethine) and B12 (methylcobalamin), the amino acid tyrosine, and other nutrients such as lipoic acid, phosphatidylserine, and plant sterol/sterolin combinations – may allow individuals to sustain an adaptive response and minimize some of the systemic effects of stress. La sclerose combinee de la moelle “revisitee”. RENEWED INTEREST: There are at least three reasons for revisiting subacute combined degeneration. DIAGNOSIS: There is evidence that diagnosis is too often differed until a time when irreversible lesions of the spinal cord are present. A high degree of suspicion is mandatory. CONTRIBUTION OF MRI: Magnetic resonance imaging of the spine supplies interesting information about the distribution of lesions and their course under treatment. NO: Nitous oxide is an emerging cause of cobalamin deficiency. Patients sometimes develop myeloneuropathy after repeated or single exposure to nitrous oxide. This is explained by inactivation of methylcobalamin as a result of irreversible oxidation. Vitamin B12 in health and disease: part I–inherited disorders of function, absorption, and transport. All of vitamin B12 in nature is of microbial origin. Cobalamin, as vitamin B12 should correctly be termed, is a large polar molecule that must be bound to specialized transport proteins to gain entry into cells. Entry from the lumen of the intestine under physiological conditions occurs only in the ileum and only when bound to intrinsic factor. It is transported into all other cells only when bound to another transport protein, transcobalamin II. Congenital absence or defective synthesis of intrinsic factor or transcobalamin II result in megaloblastic anemia. The Immerslund-Graesbeck syndrome, a congenital defect in the transcellular transport of cobalamin through the ileal cell during absorption, also presents with megaloblastic anemia, but with accompanying albuminuria. In most bacteria and in all mammals, cobalamin regulates DNA synthesis indirectly through its effect on a step in folate metabolism, the conversion of N5-methyltetrahydrofolate to tetrahydrofolate, which in turn is linked to the conversion of homocysteine to methionine. This reaction occurs in the cytoplasm, and it is catalyzed by methionine synthase, which requires methyl cobalamin (MeCbl), one of the two coenzyme forms of the vitamin, as a cofactor. Defects in the generation of MeCbl (cobalamin E and G diseases) result in homocystinuria; affected infants present with megaloblastic anemia, retardation, and neurological and ocular defects. 5′-Deoxyadenosyl cobalamin (AdoCbl), the other coenzyme form of cobalamin, is present within mitochondria, and it is an essential cofactor for the enzyme Methylmalonyl-CoA mutase, which converts L-methylmalonyl CoA to succinyl CoA. This reaction is in the pathway for the metabolism of odd chain fatty acids via propionic acid, as well as that of the amino acids isoleucine, methionine, threonine, and valine. Impaired synthesis of AdoCbl (cobalamin A or B disease) results in infants with methylmalonic aciduria who are mentally retarded, hypotonic, and who present with metabolic acidosis, hypoglycemia, ketonemia, hyperglycinemia, and hyperammonemia. Megaloblastic anemia does not develop in these children because adequate amounts of MeCbl are present, but the effect of methylmalonic acid on marrow stem cells may give rise to pancytopenia. Congenital absence of reductases in the cytoplasm, which normally reduce the cobalt atom in cobalamin from its oxidized to its reduced state (cobalamin C and D diseases), results in impaired synthesis of both MeCbl and AdoCbl. Both methylmalonic aciduria and homocystinuria therefore develop in these children, and they present with megaloblastosis, mental retardation, a host of neurological and ocular disorders, and failure to thrive; however, they do not have hyperglycinemia or hyperammonemia. A similar biochemical profile and clinical presentation is also seen in cobalamin F disease, which results from a defect in the release of cobalamin from lysosomes, following receptor-mediated endocytosis of the transcobalamin II-cobalamin complex into cells. It is important to recognize these inborn errors of cobalamin absorption, transport, or function as soon after birth as possible, because most respond (in some patients more fully than others) to parenteral administration of cobalamin. Delays in diagnosis can lead to grave clinical consequences. Portal and biliary phases of enterohepatic circulation of corrinoids in humans. The assimilation of labeled cobalamin and the transport of corrinoids in portal blood, peripheral venous blood, and bile were studied in eight cholecystectomized patients, after ingestion of a dose of cyano[57Co]cobalamin (0.5 microCi). The radioactivity appeared in the portal vein after a delay of 1.5-2 hours and in the peripheral vein 1 hour later. In bile, it reached a maximum at 24-72 hours; the excreted cobalamin corresponded to 1.42% +/- 0.92% of the dose ingested. The output of total corrinoids was 1.85 nmol/day. The high-performance liquid chromatography analysis of bile showed the presence of methylcobalamin, 5′-deoxyadenosylcobalamin, hydroxocobalamin, and an unknown corrinoid. This corrinoid bound to R binder but not to the intrinsic factor, and it had the same retention time as cobinamide. The R binder was the single cobalamin-binding protein found in bile. It was completely saturated in some periods of bile secretion. The corrinoids corresponding to such a period were eluted in Sephacryl S 300 gel filtration (Pharmacia Fine Chemicals, Uppsala, Sweden) in two peaks corresponding to saturated R binder and to free cobalamin. The mean level of total corrinoid was significantly higher in the portal vein (593 +/- 238 pmol/L) than in the peripheral vein (376 +/- 114 pmol/L) (P less than 0.01). This “cobalamin analogue” fraction was hypothetical because it was calculated from the difference between total corrinoid concentration and the so called “true cobalamin” concentration. This difference corresponded to the cobalamin analogue fraction. These data show that bile removes not only cobalamin but also cobalamin analogues and that R binder is the single carrier protein involved in their excretion. Vitamins play an essential role in lipid metabolism reactions and their presence is therefore absolutely necessary for these reaction to occur. The effect of pantothenic acid, niacin and riboflavin is here described. By transformation into coenzymes these vitamins are involved in fatty acid synthesis and oxidation reactions. Other vitamins, like vitamin B12, folic acid, vitamin C, and essential fatty acids influence lipid metabolism by different mechanisms. Coenzyme B12 and folate coenzyme provide to balance, by methionine synthesis, the pool of methyl radicals necessary for phospholipid biosynthesis. By its involvement in the microsomal respiratory chain, vitamin C promotes cholesterol transformation into bile acids. The essential fatty acids, mainly linoleic acid, are directly connected with cholesterol transport and plasma cholesterol decrease. It is suggested that many lipid metabolism disorders may be due to primary and secondary hypovitaminosis. Nicotinic acid and its derivatives have a particular pharmacological effect since they cause a HDL increase with LDL decrease and improve cholesterol transfer from LDL to HDL. Results of several experiments on the influence of pantothenic acid on polyunsaturated fatty acid metabolism are eventually reported, and these data are related to the effect of the administration of vitamin C at high doses on total cholesterol, triglyceride, lipoprotein, vitamin C and fatty acids of the different plasma lipid fractions. The folates are made up of a pterdine ring attached to a p-aminobenzoate and a polyglutamyl chain. The active form is tetrahydrofolate which can have C1 units enzymically attached. These C1 units (as a formly group) are passed on to enzymes in the purine pathway that insert the C-2 and C-8 into the purine ring. A methylene group (-CH2-) attached to tetrahydrofolate is used to convert the uracil-type pyrimidine base found in RNA into the thymine base found in DNA. A further folate cofactor, i.e. 5-methyltetrahydrofolate, is involved in the remethylation of the homocysteine produced in the methylation cycle back to methionine. After activation to S-adenosylmethionine this acts as a methyl donor for the dozens of different methyltransferases present in all cells. Folate deficiency results in reduction of purine and pyrimidine biosynthesis and consequently DNA biosynthesis and cell division. This process is most easily seen in a reduction of erythrocytes causing anaemia. Reduction in the methylation cycle has multiple effects less easy to identify. One such effect is certainly on the nerve cells, because interruption of the methylation cycle causing neuropathy can also happen in vitamin B12 deficiency due to reduced activity of the vitamin B12-dependent enzyme methionine synthase (EC 2.1.1.13). In vitamin B12 deficiency, blocking of the methylation cycle causes the folate cofactors in the cell to become trapped as 5-methyltetrahydrofolate. This process in turn produces a pseudo folate deficiency in such cells, preventing cell division and giving rise to an anaemia identical to that seen in folate deficiency. Purification of soluble cytochrome b5 as a component of the reductive activation of porcine methionine synthase. In mammals, methionine synthase plays a central role in the detoxification of the rogue metabolite homocysteine. It catalyzes a transmethylation reaction in which a methyl group is transferred from methyltetrahydrofolate to homocysteine to generate tetrahydrofolate and methionine. The vitamin B12 cofactor cobalamin plays a direct role in this reaction by alternately accepting and donating the methyl group that is in transit from one substrate (methyltetrahydrofolate) to another (homocysteine). The reactivity of the cofactor intermediate cob(I)alamin renders the enzyme susceptible to oxidative damage. The oxidized enzyme may be returned to the catalytic turnover cycle via a reductive methylation reaction that requires S-adenosylmethionine as a methyl group donor, and a source of electrons. In this study, we have characterized an NADPH-dependent pathway for the reductive activation of porcine methionine synthase. Two proteins are required for the transfer of electrons from NADPH, one of which is microsomal and the other cytoplasmic. The cytoplasmic protein has been purified to homogeneity and is soluble cytochrome b5. 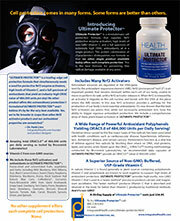 It supports methionine synthase activity in the presence of NADPH and the microsomal component in a saturable manner. In addition, purified microsomal cytochrome P450 reductase and soluble cytochrome b5 reconstitute the activity of the porcine methionine synthase. Identification of soluble cytochrome b5 as a member of the reductive activation system for methionine synthase describes a function for this protein in non-erythrocyte cells. In erythrocytes, soluble cytochrome b5 functions in methemoglobin reduction. In addition, it identifies an additional locus in which genetic polymorphisms may play a role in the etiology of hyperhomocysteinemia, which is correlated with cardiovascular diseases. The B12 or cobalamin coenzymes are complex macrocycles whose reactivity is associated with a unique cobalt-carbon bond. The two biologically active forms are MeCbl and AdoCbl and their closely related cobamide forms. MeCbl participates as the intermediate carrier of activated methyl groups. During the catalytic cycle the coenzyme shuttles between MeCbl and the highly nucleophilic cob(I)alamin form. Examples of MeCbl-dependent enzymes include methionine synthase and Me-H4-MPT: coenzyme M methyl transferase. AdoCbl functions as a source of carbon-based free radicals that are unmasked by homolysis of the coenzyme’s cobalt-carbon bond. The free radicals are subsequently used to remove non-acid hydrogen atoms from substrates to facilitate a variety of reactions involving cleavage of carbon-carbon, carbon-oxygen and carbon-nitrogen bonds. Most reactions involve 1,2 migrations of hydroxy-, amino- and carbon-containing groups, but there is also one class of ribonucleotide reductases that uses AdoCbl. The structures of two cobalamin-dependent enzymes, methionine synthase and methylmalonyl-CoA mutase, have been solved. In both cases the cobalt is co-ordinated by a histidine ligand from the protein. The significance of this binding motif is presently unclear since in other cobalamin-dependent enzymes spectroscopic evidence suggests that the coenzyme’s nucleotide ‘tail’ remains co-ordinated to cobalt when bound to the protein. Immunomodulation by vitamin B12: augmentation of CD8+ T lymphocytes and natural killer (NK) cell activity in vitamin B12-deficient patients by methyl-B12 treatment. Third Department of Internal Medicine, Gunma University School of Medicine, Maebashi, Japan. It has been suggested that vitamin B12 (vit.B12) plays an important role in immune system regulation, but the details are still obscure. In order to examine the action of vit.B12 on cells of the human immune system, lymphocyte subpopulations and NK cell activity were evaluated in 11 patients with vit.B12 deficiency anaemia and in 13 control subjects. Decreases in the number of lymphocytes and CD8+ cells and in the proportion of CD4+ cells, an abnormally high CD4/CD8 ratio, and suppressed NK cell activity were noted in patients compared with control subjects. In all 11 patients and eight control subjects, these immune parameters were evaluated before and after methyl-B12 injection. The lymphocyte counts and number of CD8+ cells increased both in patients and in control subjects. The high CD4/CD8 ratio and suppressed NK cell activity were improved by methyl-B12 treatment. Augmentation of CD3-CD16+ cells occurred in patients after methyl-B12 treatment. In contrast, antibody-dependent cell-mediated cytotoxicity (ADCC) activity, lectin-stimulated lymphocyte blast formation, and serum levels of immunoglobulins were not changed by methyl-B12 treatment. These results indicate that vit.B12 might play an important role in cellular immunity, especially relativing to CD8+ cells and the NK cell system, which suggests effects on cytotoxic cells. We conclude that vit.B12 acts as an immunomodulator for cellular immunity. Effects of vitamin B12 on performance and circadian rhythm in normal subjects. Sleep Disorder Unit, Hephata Klinik, Schwatmstadt-Treysa, Germany. This preliminary study investigates effects of methyl- and cyanocobalamin on circadian rhythms, well-being, alertness, and concentration in healthy subjects. Six women (mean age 35 years) and 14 men (mean age 37 years) were randomly assigned to treatment for 14 days with 3 mg cyano-(CB12) or methylcobalamin (MB12) after 9 days of pre-treatment observation. Levels in the CB12 group increased rapidly in the first, then slowly in the second treatment week, whereas increase in the MB12 group was linear. Urinary aMT6s excretion was reduced by both forms of vitamin B12 over 24 hours with a significant decrease between 0700-1100 hours, whereas urinary excretion of potassium was significantly increased between 0700-1100 hours. Activity from 2300-0700 hours increased significantly under both forms of vitamin B12. Sleep time was significantly reduced under MB12 intake. In this group the change in the visual analogue scales items “sleep quality,” “concentration,” and “feeling refreshed” between pretreatment and the first week of treatment showed significant correlations with vitamin B12 plasma levels. Cortisol excretion and temperature were not affected by either medication. We conclude that vitamin B12 exerts a direct influence on melatonin. Only MB12 has a positive psychotropic alerting effect with a distribution of the sleep-wake cycle toward sleep reduction. Effects of methylcobalamin on diabetic neuropathy. Division of Neurology, King Khalid University Hospital, Riyadh, Saudi Arabia. We studied the clinical and neurophysiological effects of methylcobalamin on patients with diabetic neuropathy. In a double-blind study, the active group showed statistical improvement in the somatic and autonomic symptoms with regression of signs of diabetic neuropathy. Motor and sensory nerve conduction studies showed no statistical improvement after 4 months. The drug was easily tolerated by the patients and no side effects were encountered. Intravenous methylcobalamin treatment for uremic and diabetic neuropathy in chronic hemodialysis patients. OBJECT: To study the effects of the intravenous administration of methylcobalamin, an analogue of vitamin B12, for uremic or uremic-diabetic polyneuropathy in patients who are receiving maintenance hemodialysis. An ultra-high dose of vitamin B12 has been reported to promote peripheral nerve regeneration in experimental neuropathy. METHODS: Nine patients received a 500 microg methylcobalamin injection 3 times a week for 6 months. The effects were evaluated using neuropathic pain grading and a nerve conduction study. RESULTS: Serum concentrations of vitamin B12 were ultra-high during treatment due to the lack of urinary excretion. After 6 months of treatment, the patients’ pain or paresthesia had lessened, and the ulnar motor and median sensory nerve conduction velocities showed significant improvement. There were no side effects. CONCLUSION: Intravenous methycobalamin treatment is a safe and potentially beneficial therapy for neuropathy in chronic hemodialysis patients. Chiba University School of Medicine. In vivo effect of methylcobalamin on the peripheral nerve structure in streptozotocin diabetic rats. To study in vivo effect of methylcobalamin (CH3-B12) on the peripheral nerve structures, rats with experimental diabetes induced by streptozotocin were administered with daily intramuscular injection of CH3-B12 (500 microgram/kg) for 16 weeks. By isolated nerve fiber studies, CH3-B12-treated diabetic rats showed less incidence of paranodal demyelination as an early sign of segmental demyelination than non-treated diabetic rats. From morphometrical analysis on sural nerves, the reduction in the density of myelinated nerve fibers, nerve fiber size and axon size of myelinated fibers was definitely protected in treated diabetic rats. The results suggested that continuous treatment with CH3-B12 had an ameliorative effect on the peripheral nerve lesions in experimental diabetic neuropathy. Ultra-high dose methylcobalamin promotes nerve regeneration in experimental acrylamide neuropathy. Department of Neurology, Kyoto University Hospital, Japan. Despite intensive searches for therapeutic agents, few substances have been convincingly shown to enhance nerve regeneration in patients with peripheral neuropathies. Recent biochemical evidence suggests that an ultra-high dose of methylcobalamin (methyl-B12) may up-regulate gene transcription and thereby protein synthesis. We examined the effects of ultra-high dose of methyl-B12 on the rate of nerve regeneration in rats with acrylamide neuropathy, using the amplitudes of compound muscle action potentials (CMAPs) after tibial nerve stimulation as an index of the number of regenerating motor fibers. After intoxication with acrylamide, all the rats showed equally decreased CMAP amplitudes. The animals were then divided into 3 groups; rats treated with ultra-high (500 micrograms/kg body weight, intraperitoneally) and low (50 micrograms/kg) doses of methyl-B12, and saline-treated control rats. Those treated with ultra-high dose showed significantly faster CMAP recovery than saline-treated control rats, whereas the low-dose group showed no difference from the control. Morphometric analysis revealed a similar difference in fiber density between these groups. Ultra-high doses of methyl-B12 may be of clinical use for patients with peripheral neuropathies. Vitamin B12 metabolism and massive-dose methyl vitamin B12 therapy in Japanese patients with multiple sclerosis. Department of Neurology, Faculty of Medicine, Kyushu University, Fukuoka. Serum vitamin B12 levels and unsaturated vitamin B12 binding capacities were measured in 24 patients with multiple sclerosis (MS), 73 patients with other neurological disorders and 21 healthy subjects. There was no decrease in the vitamin B12 levels, however, a significant decrease in the unsaturated vitamin B12 binding capacities was observed in patients with MS when compared with other groups. A massive dose of methyl vitamin B12 (60 mg every day for 6 months) was administered to 6 patients with chronic progressive MS, a disease which usually had a morbid prognosis and widespread demyelination in the central nervous system. Although the motor disability did not improve clinically, the abnormalities in both the visual and brainstem auditory evoked potentials improved more frequently during the therapy than in the pre-treatment period. We therefore consider that a massive dose methyl vitamin B12 therapy may be useful as an adjunct to immunosuppressive treatment for chronic progressive MS. Multiple sclerosis and vitamin B12 metabolism. Multiple sclerosis (MS) is occasionally associated with vitamin B12 deficiency. Recent studies have shown an increased risk of macrocytosis, low serum and/or CSF vitamin B12 levels, raised plasma homocysteine and raised unsaturated R-binder capacity in MS. The aetiology of the vitamin B12 deficiency in MS is often uncertain and a disorder of vitamin B12 binding or transport is suspected. The nature of the association of vitamin B12 deficiency and MS is unclear but is likely to be more than coincidental. There is a remarkable similarity in the epidemiology of MS and pernicious anaemia. Vitamin B12 deficiency should always be looked for in MS. The deficiency may aggravate MS or impair recovery. There is evidence that vitamin B12 is important for myelin synthesis and integrity but further basic studies are required. Effect of ultrahigh-dose methylcobalamin on compound muscle action potentials in amyotrophic lateral sclerosis: a double-blind controlled study. To develop a symptomatic treatment for amyotrophic lateral sclerosis, we compared the effects of ultrahigh-dose and low-dose (25 and 0.5 mg/day, intramuscularly, for 14 days) methylcobalamin on averaged compound muscle action potential amplitudes (CMAPs) in a double-blind trial. No significant changes in CMAP amplitude were found in 12 patients who had the low-dose treatment at either 2 or 4 weeks after start of treatment. By contrast, 12 patients assigned to the ultrahigh-dose group demonstrated a significant increase at 4 weeks. This method may provide a clinically useful measure to improve or retard muscle wasting, if a larger extended trial fulfills its promise. Methylcobalamin (methyl-B12) promotes regeneration of motor nerve terminals degenerating in anterior gracile muscle of gracile axonal dystrophy (GAD) mutant mouse. Laboratory Animal Research Center, Tsukuba Research Laboratories, Eisai Co., Ltd., Ibaraki, Japan. We examined the effects of methylcobalamin (methyl-B12, mecobalamin) on degeneration of motor nerve terminals in the anterior gracile muscle of gracile axonal dystrophy (GAD) mutant mice. GAD mice received orally methyl-B12 (1 mg/kg body wt/day) from the 40th day after birth for 25 days. In the distal endplate zone of the muscle, although most terminals were degenerated in both the untreated and methyl-B12-treated GAD mice, sprouts were more frequently observed in the latter. In the proximal endplate zone, where few degenerated terminals were seen in both groups of the mice, the perimeter of the terminals was increased and the area of the terminals was decreased significantly in the methyl-B12-treated GAD mice. These findings indicate that methyl-B12 promotes regeneration of degenerating nerve terminals in GAD mice. [Pharmacological studies on degeneration and regeneration of peripheral nerves. (1) Effects of methylcobalamin and cobamide on EMG patterns and loss of muscle weight in rats with crushed sciatic nerve]. Experiments were performed to investigate the effects of Vitamin B12, i.e., methylcobalamin and cobamide, on the neural degeneration and regeneration. Male Wistar rats (140 to 150 g) under conditions of experimental unilateral sciatic nerve crushing were treated consecutively with methylcobalamin (50 and 500 mug/kg/day i.p. ), cobamide (50 and 500 mug/kg/day i.p.) or saline. EMG recordings were periodically carried out and rats of each group were sacrificed to determine the weight-loss of denervated muscles 1, 2, 3 and 4 weeks after crush. Neither methylcobalamin nor cobamide exerted any significant effect on body-weight gain of the nerve-crushed rats with a daily injection of 50 and 500 mug/kg i.p.. The EMG pattern of the denervated biceps femoris muscle showed a total lack of fibrillation for 2 days after the nerve-crush. Thereafter, the fibrillation appeared and continued for 10 to 14 days until the nerve had regenerated, as evidenced by the appearance of a complex NMU voltage. The occurrence of fibrillation voltage was slightly delayed in methylcobalamin group (500 mug/kg/day) as compared with the saline control group. The re-appearance of normal NMU voltage was more rapid in the methylcobalamin 500 mug/kg group than in controls and other experimental groups. Neither methylcobalamin nor cobamide had any significant effect on the weight-loss of the gastrocnemius and tibialis anterior muscles following crush of the sciatic nerve. However, a daily injection of 500 mug/kg of methylcobalamin produced a significant increase in the weight of the soleus muscle which recovered to the extent of being the same weight of the contralateral 4 weeks after the nerve-crush. These results suggest that methylcobalamin may have an inhibitory effect on Wallerian degeneration and also a facilitatory effect on the neural regeneration of the crushed sciatic nerve of rats. Neural-tube defects are associated with low concentrations of cobalamin (vitamin B12) in amniotic fluid. While folate supplementation reduces the risk of recurrent neural-tube defects (NTD), both folate and cobalamin deficiencies may be independent risk-factors for neural-tube defects. Folate-dependence and impaired remethylation of homocysteine are implicated as mechanisms for NTD. There are few references reported for folate, cobalamin, homocysteine and methionine in the fetal compartment. This case-controlled pilot study of amniotic fluid (AF) samples derived from 16 NTD pregnancies and 64 age-matched controls quantities total homocysteine (tHcy), total cysteine (tCys), folate, cobalamin (B12), and methionine. Only decreased AF B12 concentrations were found (150 pg/ml versus 540 pg/ml, P < 0.02). Since cobalamin, folate and homocysteine participate in the remethylation of homocysteine, via methyl transfer from 5-methyltetrahydrofolate to B12, to methionine, we compared ratios of these methionine synthase (EC 2.1.1.13)-related intermediates. The ratio of B12/folate for NTD versus controls was 48 (34-90) versus 126 (123-182), P < 0.001. The ratio of methionine/(folate x tHcy) was 1.4 (1.2-2.2) versus 2.7 (2.4-3.3), P < 0.001. We conclude that AF from pregnancies with NTD have lower B12 concentrations, and that ratios of product to substrate(s) of homocysteine remethylation suggest impaired methionine synthase in the fetal compartment through the early second trimester. Brain function in the elderly: role of vitamin B12 and folate. Vitamin B12 (cobalamin) deficiency associated neuropathy, originally called subacute combined degeneration, is particularly common in the elderly. The potential danger today is that with supplementation with folic acid of dietary staples such as flour, that the incidence of this disease could rise as folic acid, as opposed to natural folate (N5CH3HFGlu1), enters the cell and the metabolic cycle by a cobalamin independent pathway. This chapter briefly describes the clinical presentation of the disease, which unless treated will induce permanent CNS damage. The biochemical basis of the interrelationship between folate and cobalamin is the maintenance of two functions, nucleic acid synthesis and the methylation reactions. The latter is particularly important in the brain and relies especially on maintaining the concentration of S-adenosylmethionine (SAM) which, in turn, maintains the methylation reactions whose inhibition is considered to cause cobalamin deficiency associated neuropathy. SAM mediated methylation reactions are inhibited by its product S-adenosylhomocysteine (SAH). This occurs when cobalamin is deficient and, as a result, methionine synthase is inhibited causing a rise of both homocysteine and SAH. Other potential pathogenic processes related to the toxic effects of homocysteine are direct damage to the vascular endothelium and inhibition of N-methyl-D-aspartate receptors. We have previously shown that when patients with active rheumatoid arthritis (RA) were examined for the ability of their lymphocytes to respond in the autologous mixed lymphocyte reaction (AMLR), profoundly reduced AMLR responses were found in the RA patients. The defects were mainly due to the impaired response of CD8+ and CD4+ Law8- subsets; however, both CD4+Leu8+ and CD4+ + Leu8- cells functioned normally as responding cells. The present study demonstrated that the abnormalities of RA CD8+ T cells in the AMLR were corrected when the AMLR cultures were set up in the presence of methyl-B12. In addition, a main target of the methyl-B12 effect observed was both CD8+Leu8+ and CD8+Leu8- cells. Thus, methyl-B12 may become a potential agent that would be able to control the pathophysiology of RA. Effect of cobalamin on the allergic response in mice. Department of Applied Biology and Chemistry, Faculty of Applied Bioscience, Tokyo University of Agriculture, Japan. Cyanocobalamin, deoxyadenosylcobalamin and methylcobalamin were separately administered to mice sensitized with the ovalbumin antigen to investigate the allergic response. The serum IgE and pulmonary histamine concentrations were significantly lower in all cobalamin (Cbl)-administered groups. The production of interleukin (IL)-2 and IL-4 in splenocytes was also lower in all Cbl-administered groups. These results show that Cbls were effective in mitigating allergic reactions and IL-2 production. CD3+ CD28+ (CD28 is an accessory molecule related to IL-2 production) and CD4+ CD28+ in splenocytes were higher in all the Cbl-administered groups. However, CD3+ CD28-, CD4+ CD28- and CD5+ CD25- (CD25: IL-2 R alpha/p55) were lower in the Cbl-administered groups. In addition, Cbl specifically inhibited the cellular phosphorylation of tyrosine induced by ovalbumin sensitization. These results indicate that the signal in a cell by CD 28 was restrained by Cbl. We infer that Cbl administration significantly reduced the IL-2 concentration, and secondarily the IL-4, IgE and histamine concentrations. We detected in 1989, with the inhibitor test of proviral insertion into c-erb B erythroblastosis, two retrovirus integrase inhibitors: hydroxy-methyl-ellipticine and acriflavine. They have been used for ten years in AIDS patients with high efficacy and no toxicity. Since vitamin B12 and cobalt, which it contains, have been detected as HIV1-integrase inhibitors by an in-vitro test, we have also used vitamin B12 (combined with folic acid), whose clinical action has been remarkable. Ten or so other compounds have been detected by such in-vitro tests, among which there are many compounds (such as flavones) which are used in many conditions and are not toxic. Inhibition of productive human immunodeficiency virus-1 infection by cobalamins. Various cobalamins act as important enzyme cofactors and modulate cellular function. We investigated cobalamins for their abilities to modify productive human immunodeficiency virus-1 (HIV-1) infection of hematopoietic cells in vitro. We show that hydroxocobalamin (OH-Cbl), methylcobalamin (Me-Cbl), and adenosylcobalamin Ado-Cbl (Ado-Cbl) inhibit HIV-1 infection of normal human blood monocytes and lymphocytes. The inhibitory effects were noted when analyzing the monocytotropic strains HIV-1-BaL and HIV-1-ADA as well as the lymphocytotropic strain HIV-1-LAI. Cobalamins did not modify binding of gp120 to CD4 or block early steps in viral life cycle, inhibit reverse transcriptase, inhibit induction of HIV-1 expression from cells with established or latent infection, or modify monocyte interferon-alpha production. Because of the ability to achieve high blood and tissue levels of cobalamins in vivo and the general lack of toxicity, cobalamins should be considered as potentially useful agents for the treatment of HIV-1 infection. Nitrous oxide degradation by cobalamin-dependent methionine synthase: characterization of the reactants and products in the inactivation reaction. Cobalamin-dependent methionine synthase catalyzes the remethylation of homocysteine to form methionine, using methyltetrahydrofolate as the primary methyl donor. The enzyme is susceptible to inactivation by the anaesthetic gas, nitrous oxide, through either short-term exposure to high levels or chronic exposure to low levels of this agent. We have studied the chemical reaction wherein the bound cobalamin prosthetic group of the enzyme from Escherichia coli catalyzes the degradation of nitrous oxide. By poising the enzyme at low ambient potentials in an electrochemical cell, the concentration of enzyme in the highly reactive cob(I)alamin state can be controlled, and the observed rate of inactivation is directly dependent upon the amount of enzyme in this redox state. The inactivation consumes both nitrous oxide and electrons, while nitrogen gas is evolved. The inactivation process is also directly dependent upon the proton concentration, but the effect of pH was found to be on the enzyme, revealing a redox-linked base presumed to be on or near the cobalamin. The chemical reaction between enzyme-bound cob(I)alamin and nitrous oxide that leads to inactivation is therefore independent of pH. In a single turnover experiment, where enzyme-bound cob(I)alamin is generated from methylcobalamin by methyl transfer to the substrate homocysteine, the cob(I)alamin decays to cob(II)alamin, suggesting that the degradation of nitrous oxide involves one-electron reduction of nitrous oxide. We propose that the inactivation chemistry is likely to be a one-electron reduction of nitrous oxide, which leads to the formation of a highly reactive oxidant, such as hydroxyl radical, and subsequent enzyme damage. The effects of nitrous oxide on cobalamins, folates, and on related events. The anaesthetic gas nitrous oxide (N2O), when inhaled for longer than 6 hr, produces megaloblastic anemia in man. Longer term inhalation, as in addicts, produces a syndrome similar to that due to B12 neuropathy, and long term exposure to low concentrations results in an increased abortion rate and neuropathy, particularly in dental personnel. N2O acts by oxidizing vitamin B12 from the active reduced cob[I]alamin form to the inactive cob[III]alamin form. In turn, this inactivates the enzyme methionine synthetase which requires both B12 and folate as cofactors. In the rat, hepatic methionine synthetase is completely inactivated after 3 hr exposure to a mixture of equal parts of N2O/O2. There is an impared uptake of folate analogues by the liver so that the plasma folate level rises and thereafter there is a considerable loss of folate into the urine. Hepatic folate concentration falls to 25% within 10 days of N2O exposure. There is a failure to synthesize folate polyglutamate (the active folate coenzyme) from all other than formyltetrahydrofolate. As oxidization of the methyl of methionine is an important source of formyl, the failure of methionine synthesis in turn appears to lead to the failure in supply of formate and, hence, a lack of the formylfolate substrate. Effects of leucovorin and methylcobalamin with N2O anesthesia. Results of the deoxyuridine suppression test, a good marker for defining biochemical megaloblastosis caused by deficiency of folate and vitamin B12, became abnormal (greater than 10%) after 6 hours of administration of nitrous oxide anesthesia. 5-Formyltetrahydrofolate and methylcobalamin administration during nitrous oxide anesthesia have no remarkable effect on the correction of deoxyuridine suppression test values. On the other hand, 5-formyltetrahydrofolate and methylcobalamin administrated at the end of nitrous oxide anesthesia corrected the abnormal deoxyuridine suppression test values nearly to normal range within 1 hour.